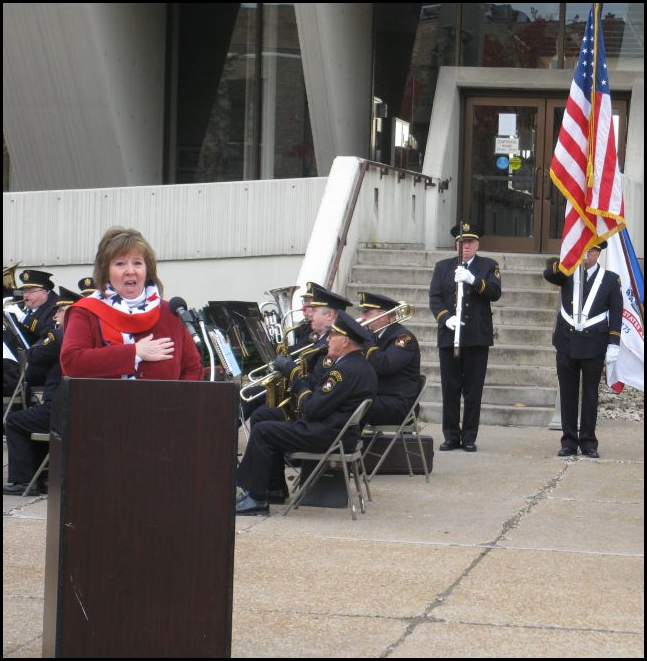 Classically trained singer Elayna Mitchell captivates audiences with her heart-felt passionate performance of the National Anthem and other patriotic selections. She specializes in performing at special events such as meetings, rallies, parades, ballgames, concerts, church services, and conferences. This gifted patriotic singer was a soprano soloist with the ﻿Chicago Symphony Orchestra﻿ and a professional member of the Chicago Symphony Chorus. For more than 20 years Elayna has dedicated her life to singing and is a full-time music professional. She teaches voice and piano at Lewis University in Romeoville, Illinois. Elayna received her Master’s Degree in Vocal Pedagogy and her Bachelor of Arts degree in Music Education with High Honors from ﻿Northeastern Illinois University﻿ in Chicago. She is available to perform in Illinois, Indiana, Michigan, and Wisconsin. Elayna offers several different programs sure to stir emotions in any audience. Her National Anthem solo provides an excellent "power intro" to any event with her high-energy and inspirational presentation. And Elayna’s “Salute to the Armed Forces” provides a great avenue to honor all veterans and active duty service men and women in the United States Military. Her most requested patriotic solo selection is God Bless America which always brings a renewed sense of pride and patriotism to her audiences. For a repertoire listing, please CLICK HERE. For audio samples of her patriotic music please CLICK HERE. For video samples please CLICK HERE. Elayna is an exquisite patriotic vocalist whose sincerity and emotion often brings audiences to their feet. Because of Elayna’s extensive performing experience and passion for patriotic music, she is the perfect choice to make your next event a success.